Googleâ€™s move to include social networking information in its searches has gotten personal. The search-engine giant has announced that, with a few tweaks, people using Google can now see search results related to friends, co-workers and other members of their social networks above all other results. The Social Search feature was introduced to a limited number of Google users last year and was made available to everyone in beta status this week. This is just a first step in our ongoing effort to ensure that Google Web search is always as social as the Web itself,â€ the company said in an instructional video posted to its official blog. Watch the Google instructional video on how to use Social Search. The tool requires a Google account. 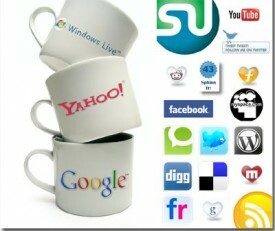 Then, a user can link their profile to friends and family via their blogs or profiles on networking sites like Twitter. The worldâ€™s largest social-networking site may prove tricky, though. Many of Facebookâ€™s roughly 350 million users responded to Googleâ€™s addition of results from the site by tightening their privacy settings. The result is that Google â€” and other search engines â€” can only access peopleâ€™s public profile pages, which usually donâ€™t have much information. If they choose, Facebook users and administrators of Facebook groups and fan pages can adjust their privacy settings to make their data accessible to others on the Web. When searching, a Google user can now click a link â€” â€œMy Social Circleâ€ â€” to bring up anything members of the userâ€™s network had written or otherwise posted on that topic. The user would be able to add or remove people from their profile. In its blog, Google said that enabling Social Search could make results more valuable because they come from sources that the user trusts. â€œWe think thereâ€™s tremendous potential for social information to improve search, and weâ€™re just beginning to scratch the surface,â€ Google said in the blog post. Googleâ€™s move comes as some of the Webâ€™s most popular sites are moving to make user experiences more personal. Last week, Twitter changed its â€œSuggestionsâ€ list, moving away from celebrities and major media outlets to rotating lists of experts in various fields that users may find interesting. The site also allows users to switch away from the siteâ€™s top trending topics and instead view the most popular discussions among people who live in their area. Twitter really want to serve up celebrity musings and general interest news, or would it rather provide the most interesting information streams to individuals â€” reflecting our interests, perhaps, or helping us to connect with friends andlocal happenings?